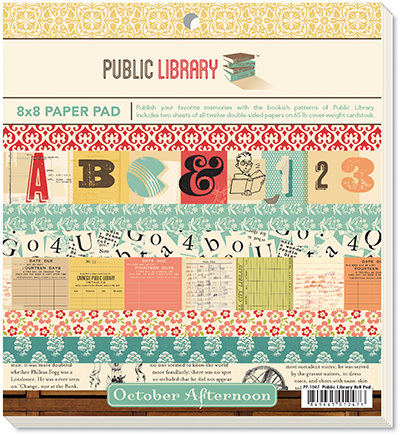 October Afternoon's NEW 8x8 paper pads are now printed double-sided and have a full wrap-around glossy cover. At a lower price point, these new pads contain all 24 designs from the line, with each design printed twice on the 24 sheets of 8"x8" paper. The pads are printed on 65 lb cover-weight cardstock. They are perfectly sized for mini-books and card-making. You'll also love combining the smaller patterns from the 8"x8" pads with the larger patterns from the 12"x12" papers. Printed using only soy-based inks. Acid and Lignin free.